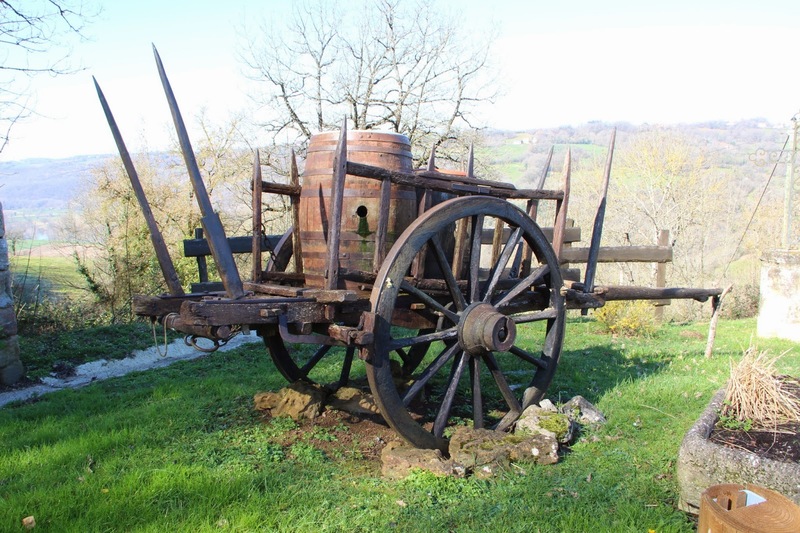 This wagon that sits below the ramparts at the entrance to Capdenac-le-Haut doesn't look very friendly, does it? I'm not sure what those wicked spikes are all about. Any wagon experts out there who can enlighten me? Hay bales, maybe? I'd be curious to know, if you ever find out.